Fee: $25 includes supplies for project. Similar design included. 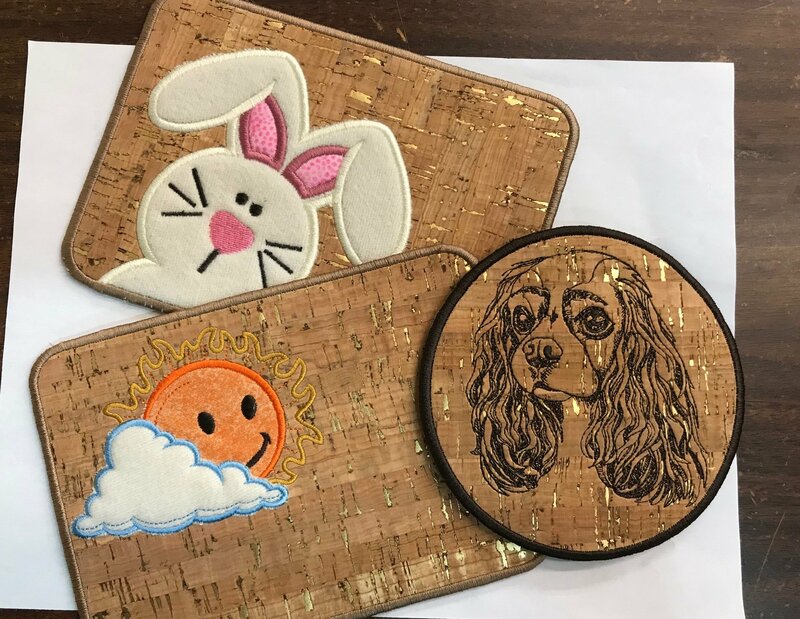 You have to bring is your embroidery machine and hoops! 5 x 7 or 4 x 4 hoop. Have you seen the "Cork" fabric that is available? Have you tried using it for machine Embroidery? Design to be decided later! Be sure to check back with us each month to find out what we're making. Please check out our class policies for information about signing up for classes. Call us at 573-339-0494 or come in to sign up for the class! Fee includes teacher's fee ($20) and kit ($20).